Erudite Caleb!! 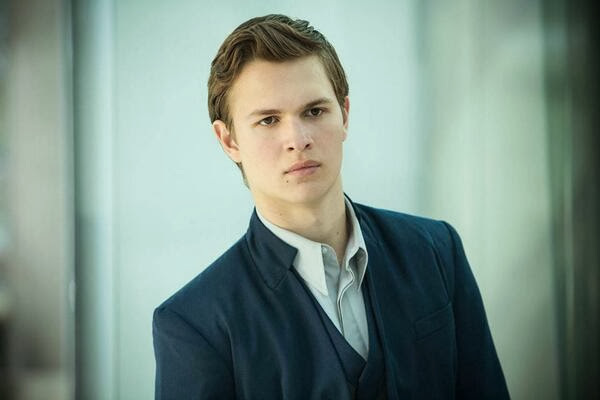 Ansel Elgort looking all smart as transfer 'Caleb Prior'. 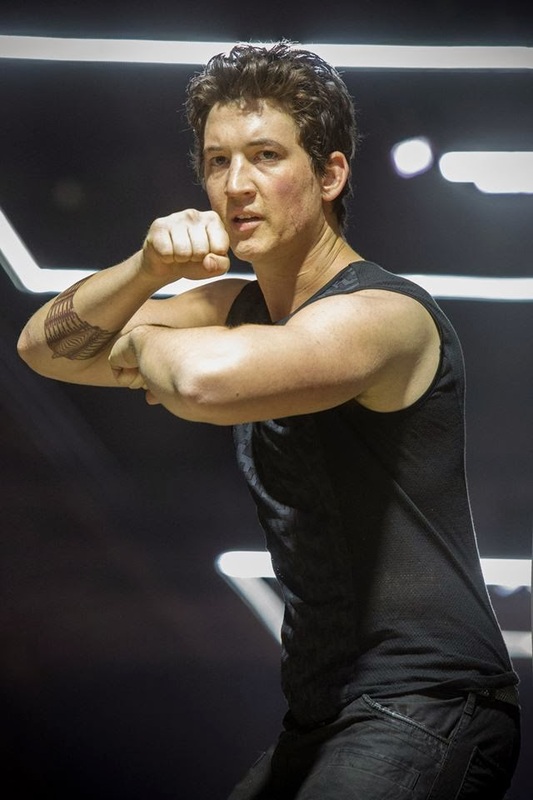 Fierce looking Miles Teller as the we-love-to-hate Peter, getting into fighting position during Dauntless training. 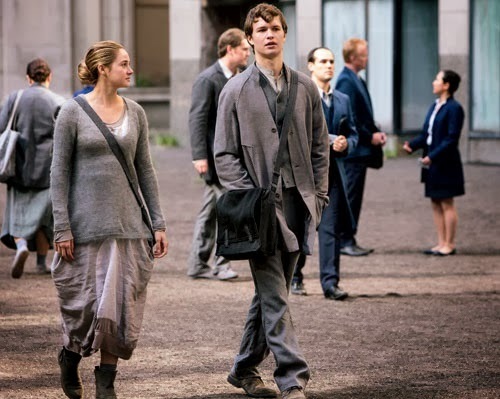 Abnegation Beatrice 'Tris' and Caleb Prior on their way to school? And behind them you can see members of Erudite in blue.